Major League Baseball contracts are incredibly intricate documents and that’s why these players pay handsome sums of money to their agencies. Tuesday, there were two instances in which a player’s contract language, or lack thereof, came into play in determining their immediate fate. One exhibited team exhibited good faith practices and the other did not in my opinion. First, per Anthony DiComo at MLB.com, Daisuke Matsuzaka was optioned to Triple-A by the New York Mets. Matsuzaka is fighting for the role of the fifth starter but some injury issues with Jon Niese has the final decision on the Mets rotation in a holding pattern. They might decide to use the other fifth starter candidate Jenrry Mejia early in the season in case Niese cannot make it back to the hill as planned. The Mets would have to wait 10 days to call Mejia up if they optioned him instead of Matsuzaka. There are no such concerns with Matsuzaka. Anyway, the story here is about the contract language in Matsuzaka’s contract which stipulated that the team would have to pay him $100,000 in order to assign him to the minors. He agreed to this up front and the Mets forked over the cash to basically hold Matsuzaka until they need him up on the big leagues. No contract surprises and good business. Shift to Seattle where the Mariners agreed to release pitcher Randy Wolf according to Greg Johns at MLB.com. Wolf was in camp under a contract which would have paid him $1 million if he made the team and he could have earned another $4.25 million in performance bonuses. 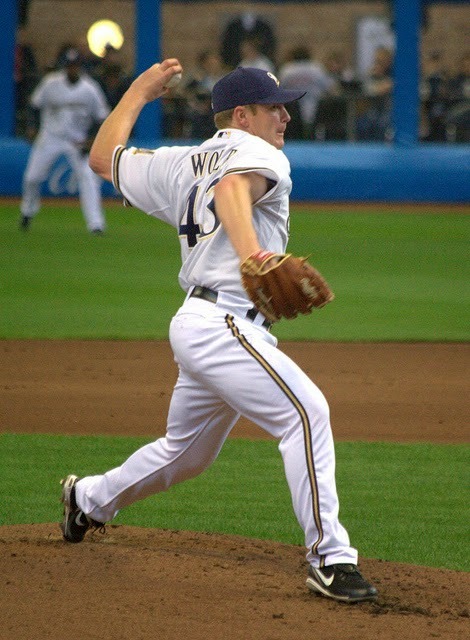 Wolf has not pitched in a game since 2012, after undergoing Tommy John surgery. Wolf, 37, was told he was going to break camp with the club, but he would need to sign a “45-day consent release” agreement. The addendum would allow the Mariners to release him or send him to the minors within 45 days. Not until the 46th day would Wolf’s contract become guaranteed. Wolf did not agree to this new wrinkle and asked for his release. So, we’ve got two different ways of doing things here. One is up front and with no surprises and the other is handled with an ‘oh by the way’ additional agreement. Matsuzaka and his agent willfully signed his contract allowing the Mets to option him to the minors with the stipulation of a cash payout. He can still return to the Mets and be paid his major league salary. Wolf commented that he felt the new contract language was against the grain of the original deal. "I principally objected to that, simply because we negotiated in good faith in February on a very team-friendly contract if I were to make the team," Wolf said. I’m not against the clause itself, it is used often and allowed per baseball’s collective bargaining agreement. But, I believe it is poor business to ask it be signed after the original contract has been completed and at the time of telling the player he is going to make the club. What’s interesting is Wolf may have signed that addendum in the beginning and he’d be with the Mariners in camp right now. The Mariners needed someone to bridge the gap with Hisashi Iwakuma and Taijuan Walker on the mend and potentially unavailable available until the end of April or early May; essentially within 45 days. Wolf saw the writing on the wall and decided to try his luck elsewhere. Hopefully for Wolf he’ll latch on with another club and it will be for the better. The rest of the players out there need to take heed of these shady last-minute additions to executed contracts and the teams that try to get away with deploying them. Photo courtesy of Steven Paluch via Flickr.